When you’re swamped with errands, appointments and shuttling the kids to practice and games, healthy snacks can fall in between the cracks. Life can be hectic, and while it’s tempting to reach for sugar-laden juice and cookies, it’s not the right answer. We have to work so hard to keep our children healthy, from getting physical exams and making sure they get enough sleep to keeping their sports gear clean with sports protective gear spray. Healthy snacks are an important part of keeping them healthy, happy and productive. Your fledgling athletes need snacks that power them up, not down. With a little planning and prep, you can provide nutrient-rich fuel to get them through their practice, game or match. Let them know that these will make them kick that soccer ball further or hit that home run, and healthy snacks will be their jam. Below are some ideas for healthy snacks to have on hand when there’s no time to pop by the house. Keep in mind that you want to serve ones that provide energy and nutrients for growth, replenish fluids and promote muscle recovery. 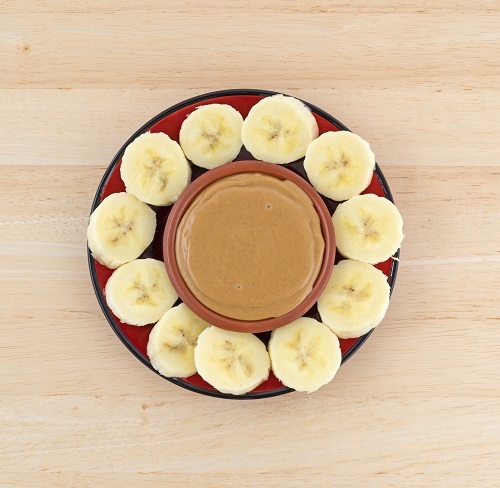 This old school staple combines protein from the peanut butter for fuel with potassium-rich bananas to prevent dehydration and promote faster muscle recovery. Potassium is an electrolyte that also strengthens muscles, stabilizes blood sugar and boosts endurance. Prep them, pop them in a Ziploc and hit the road. Serve up a mixture of nuts loaded with antioxidants, omega-3 fatty acids, vitamin and minerals. Some of the best choices include walnuts, cashews, almonds, pecans, peanuts, pistachios and macadamia nuts. A resealable container of berries is another great snack option. Berries contain anthocyanins, which are flavonoids that stimulate blood flow and reduce inflammation after activity. They also help keep your athlete hydrated due to their high water content. Take nuts a little further and create an antioxidant-packed trail mix to promote recovery and reduce inflammation. Mix nuts with pumpkin or sunflower seeds, raisins and berries. Serve a six-ounce carton of Greek yogurt with sliced bananas or berries on top. The yogurt provides protein while the berries or bananas offer sweetness along with a variety of nutrients. You can also top the yogurt off with slivered almonds, walnuts or granola. If you have time, freeze the yogurt and fruit in mini pie tins. Once they’re frozen, put them in a resealable bag throw them in a cooler and you’re all set. Pack a tub of hummus and some celery, carrot sticks or whole wheat crackers for dipping. Hummus is made from chickpeas, which are packed with energy-boosting protein and fiber. Eggs are one of the best sources of complete protein. They’re also loaded with vitamins and healthy fats, which help regulate blood sugar and blood cholesterol levels. They’re easy to tote and you can add some black pepper for flavor. Visit this link to discover more ways to keep your athletes healthy and safe, such as using a sports protective gear spray like Clear Gear.